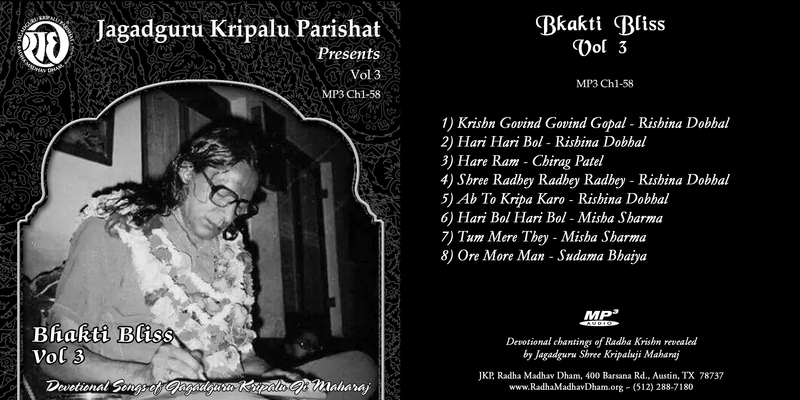 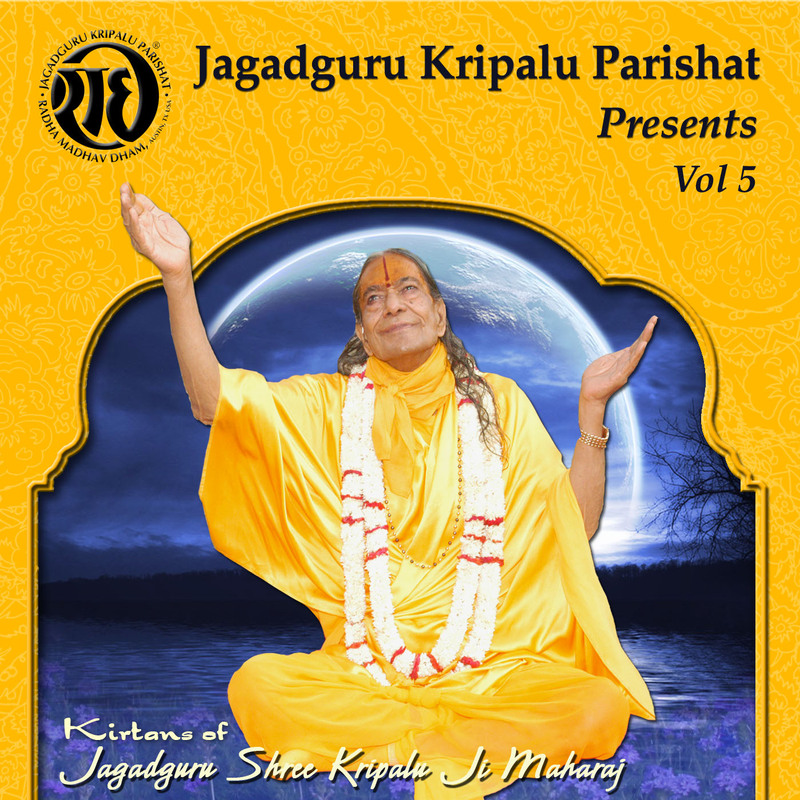 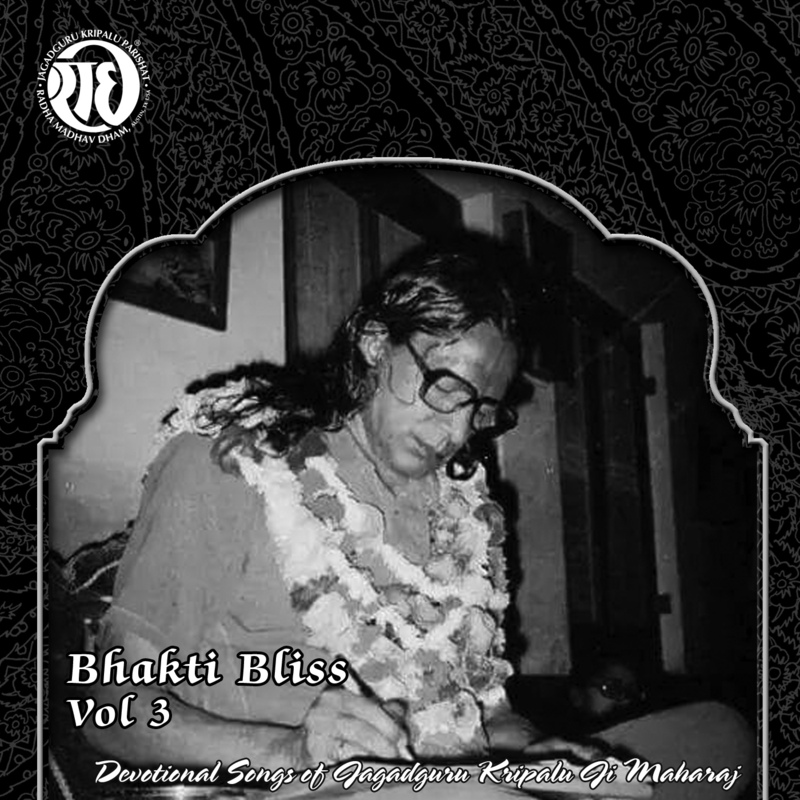 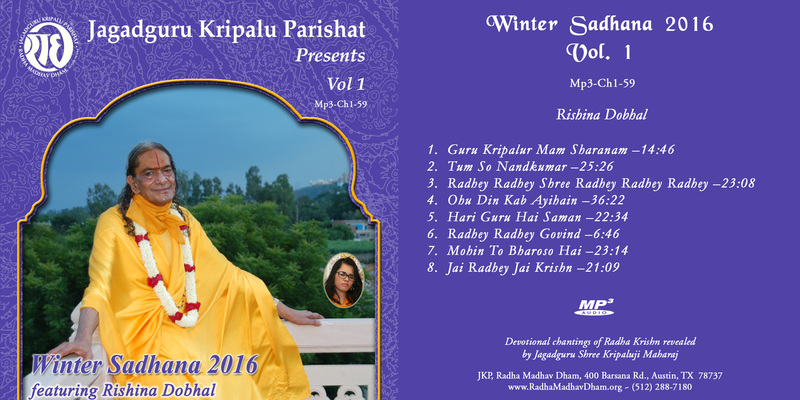 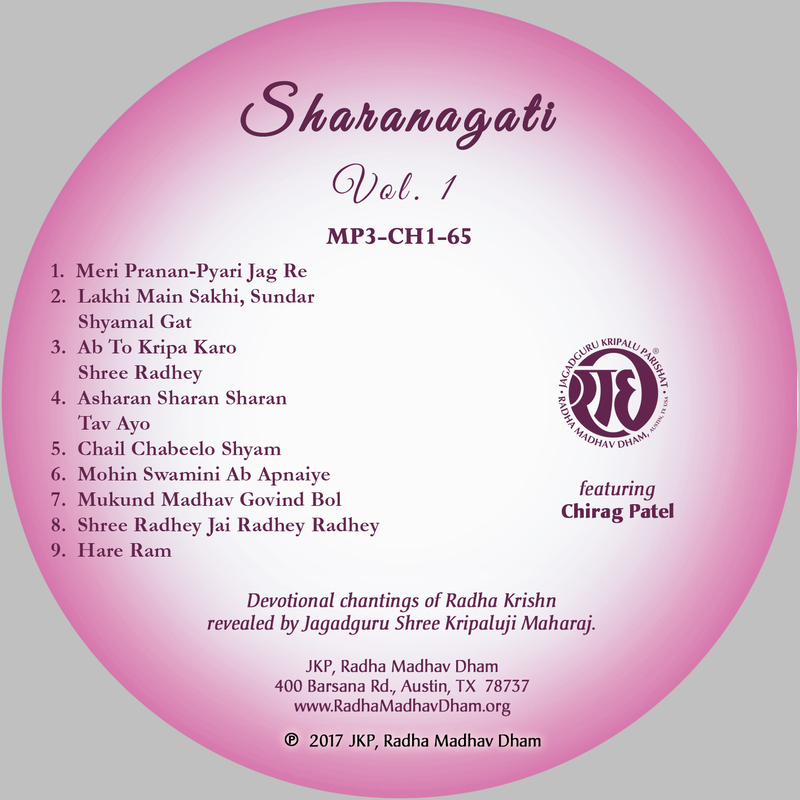 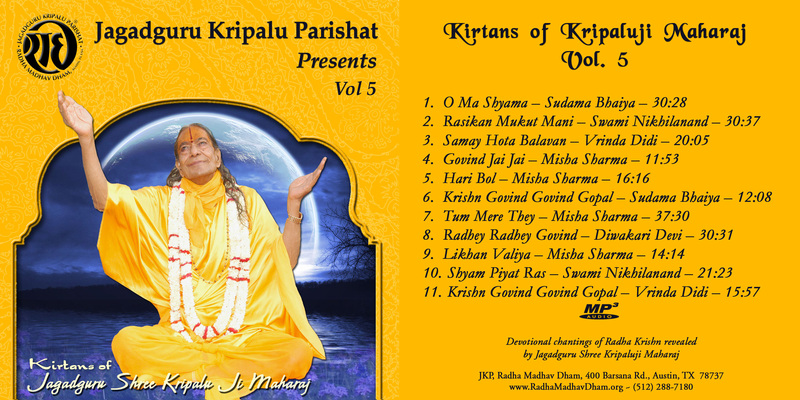 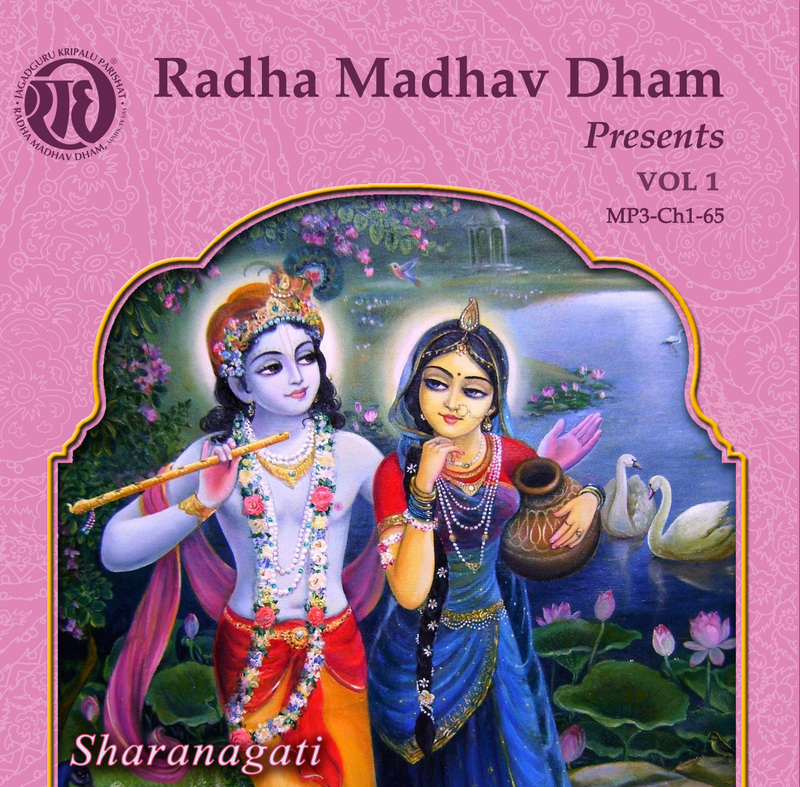 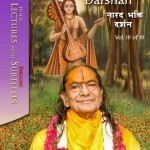 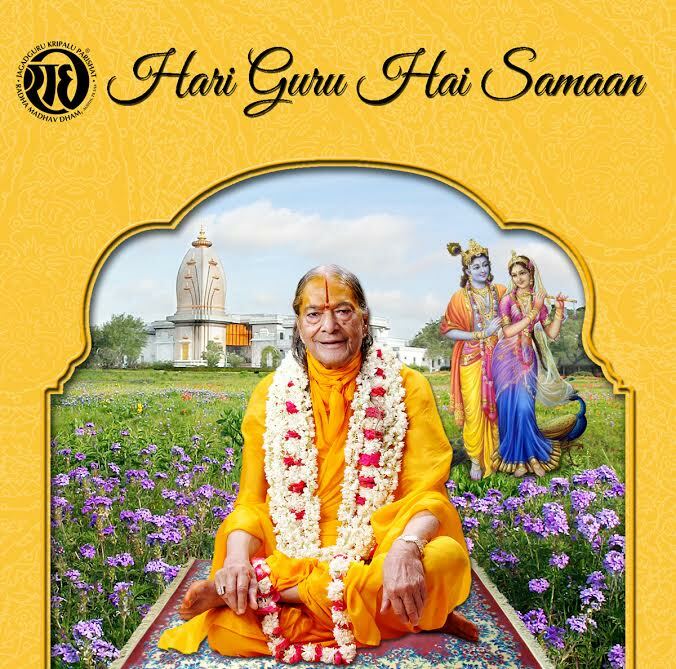 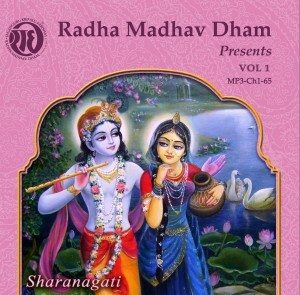 Devotional Chantings revealed by Jagadguru Shree Kripalu Ji Maharaj and sung by various chanters at Radha Madhav Dham…. 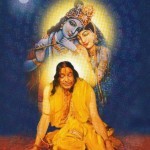 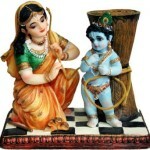 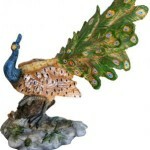 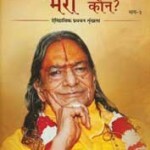 The single most important devotional practice is loving remembrance of God. 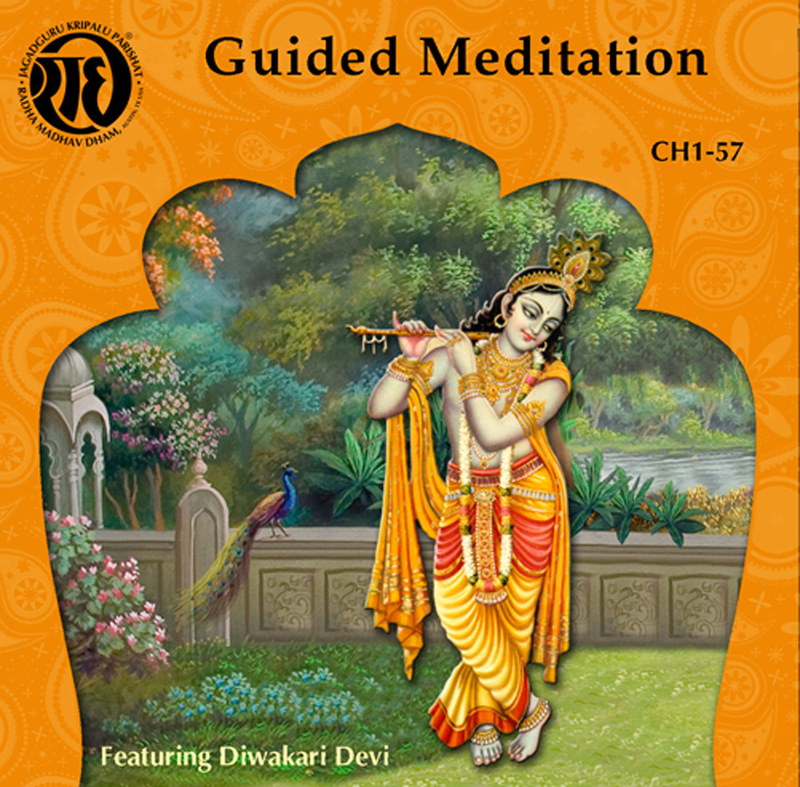 A guided meditation by Sushree Diwakari Devi followed by devotional chantings revealed by Jagadguru Shree Kripalu Ji Maharaj. 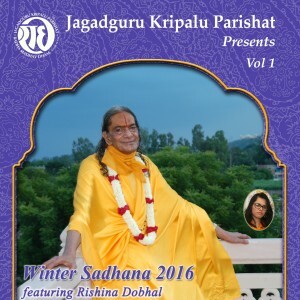 Devotional Chantings revealed by Jagadguru Shree Kripalu Ji Maharaj sung by Carmen Franklin at Radha Madhav Dham…. 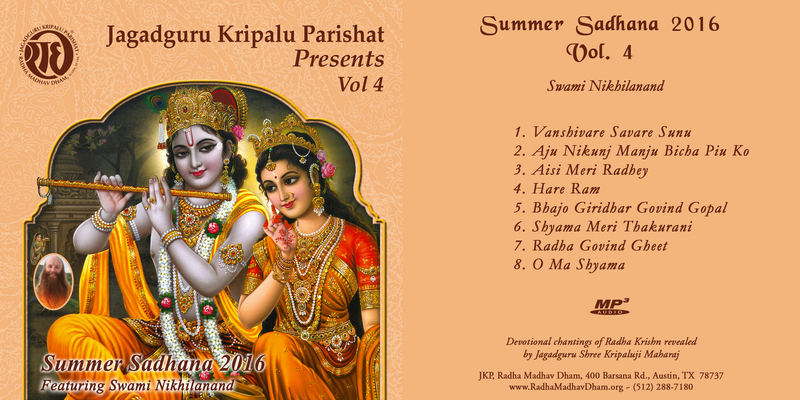 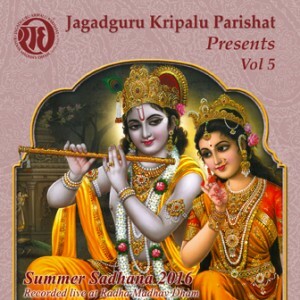 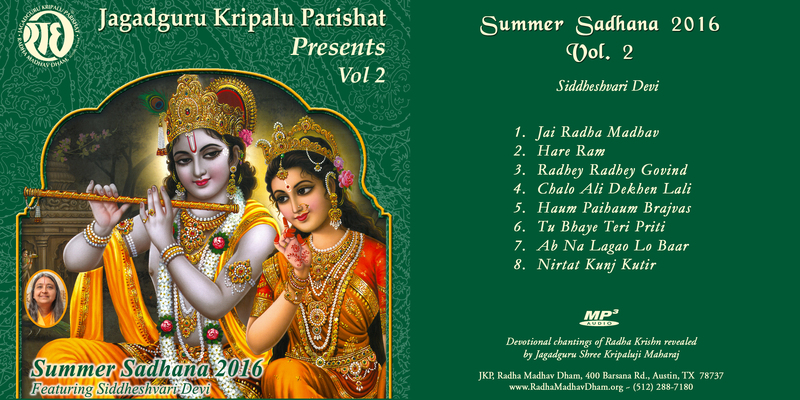 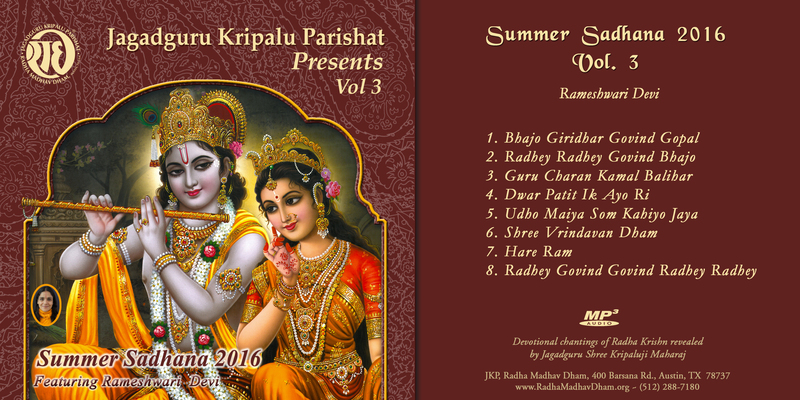 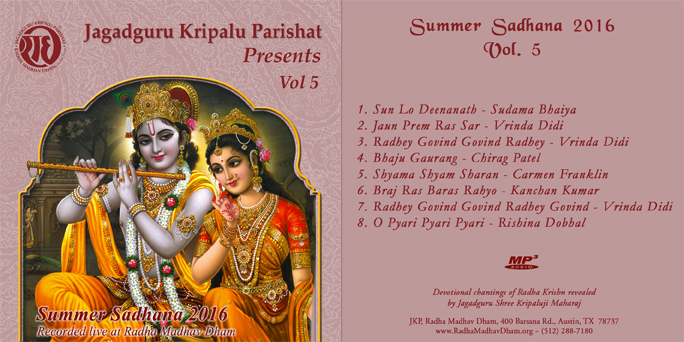 Devotional Chantings revealed by Jagadguru Shree Kripalu Ji Maharaj sung by various chanters during Summer Sadhana Shivir 2016 at Radha Madhav Dham…. Devotional Chantings revealed by Jagadguru Shree Kripalu ji Maharaj sung by Swami Nikhilanand during Summer Sadhana Shivir 2016 at Radha Madhav Dham…. 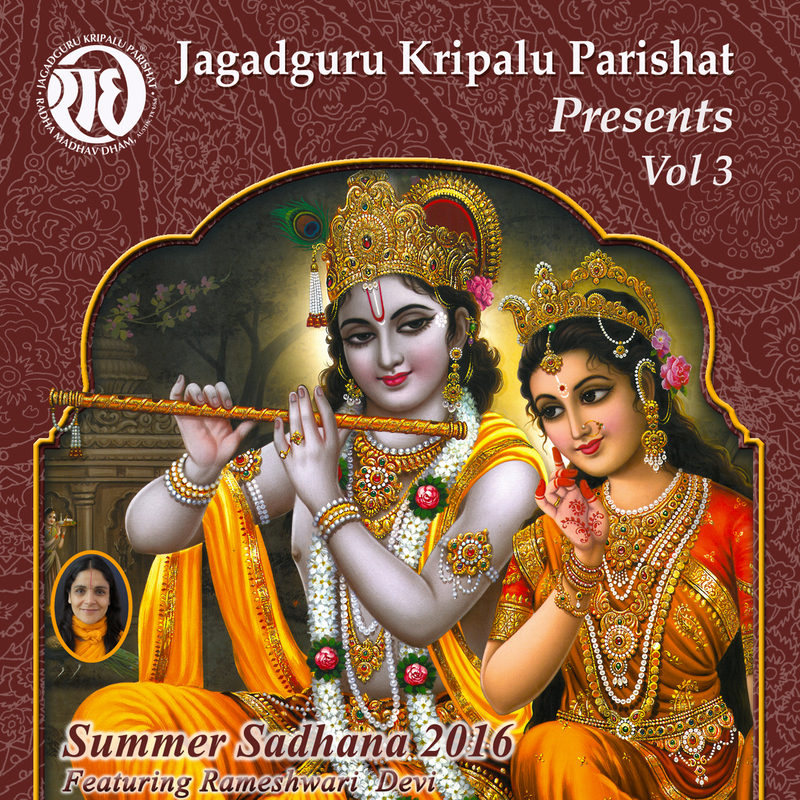 Devotional Chantings revealed by Jagadguru Shree Kripalu ji Maharaj sung by Rameshwari Devi during Summer Sadhana Shivir 2016 at Radha Madhav Dham…. Devotional Chantings revealed by Jagadguru Shree Kripalu ji Maharaj sung by Siddheshvari Devi during Summer Sadhana Shivir 2016 at Radha Madhav Dham….